The mens apparel brand known for its well-fitted khakis in all the shades of the menswear spectrum, Bonobos, will now be offering a slim option to its tailoring line of modern suits, The Foundation Suits (which come in black, navy, charcoal and light grey). 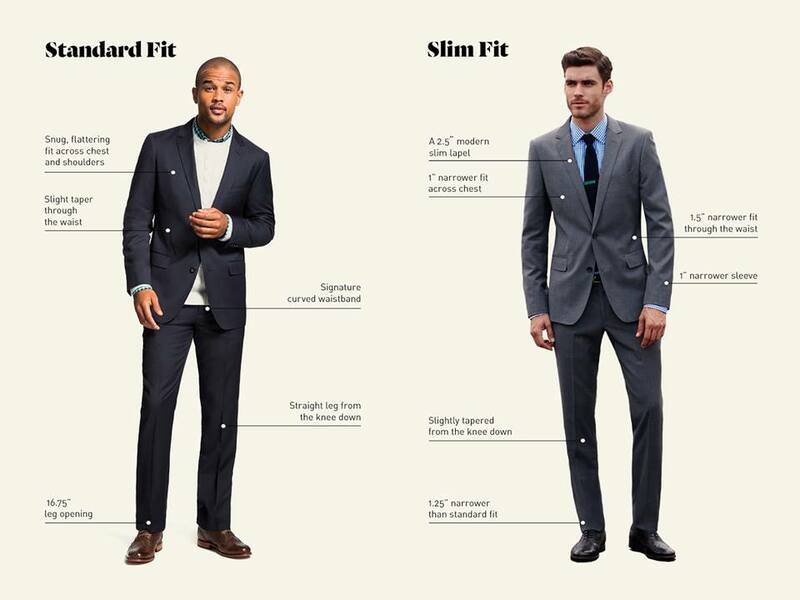 “Fit is the most important detail for a suit. Marry that with classic color options and quality fabric, and you have a great looking, versatile suit for every occasion,” says Dwight Fenton, Bonobos VP of Design. Along with the new slim fit suit options, Bonobos is also offering a three-peice suit option with introduction of vests (available in navy, charcoal and light grey). Bonobos’ suit pants are designed with the brands’ signature curved waistband, medium-rise and tailored thigh, and come un-hemmed with a 37-inch inseam (for you to tailor to your perfect length). The slim fit Foundation Suit pants differ with a 1 ¼-inch smaller leg opening and a 1-inch smaller hip than the standard fit pant. The suit jackets are slightly tapered through the body for a no too tight not too loose look. The standard fit has a trim silhouette, which according to Bonobos is “flattering for smaller builds yet relaxed enough through the waist to avoid cinching on larger frames.” The slim fit jacket is 1 ½”-narrow in the waist and ¾-inches shorter, and both jackets styles come in long and regular options, feature non-functioning button cuffs and come with a 2 ½-inch lapel. Fit starts with the shoulders: The jacket should grab your shoulders snuggly but not be overly tight. If the shoulders fit, pretty much anything else can be adjusted. Length matters: To determine the appropriate length, you should be able to cup the bottom of the suit with your arms by your side. Show some shirt: A flexible but general rule of thumb is to have a quarter-inch of your shirt cuff showing. If you’re wearing a heavier cuff, like a French cuff, you may want to show a little more. Since Bonobos offers free shipping and return, you can test both at home or over at one of the Guideshops (located in New York, Boston, San Francisco, Chicago, Georgetown, Bethesda and Austin). 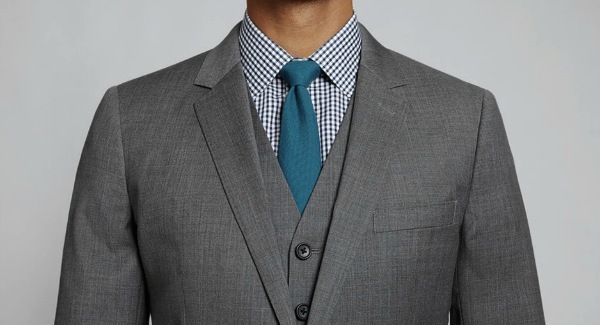 All of the Foundation Suits are made of Italian milled Marzotto wool and are $685 for a two-piece suit (add a vest for $165). Posted on August 26, 2013, in Fashion and tagged Bonobos, Fashion, Suit. Bookmark the permalink. Leave a comment.